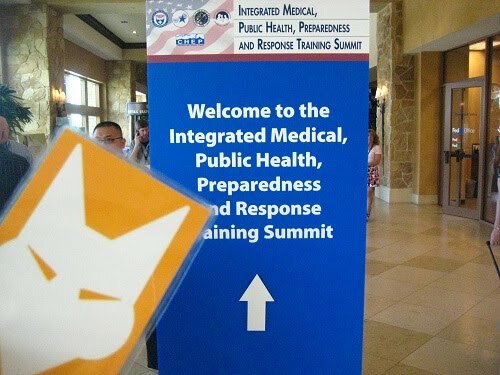 The OUTFOX team had a great time at the Integrated Medical, Public Health, Preparedness and Response Training Summit in Grapevine, TX in May! We learned a lot about disaster response and were able to showcase some of our product offerings to first responders, EMTs, EMS, physicians, nurses and others that volunteer. We were appreciative of the opportunity to teach more medical professionals about the importance of hygiene and infection control even in the event of a disaster or emergency. We look forward to more professionals using our hygiene lessons, hygiene posters, glo germ partnership and also taking advantage of our standard precautions offering.